This book covers many basic and in-depth topics of Perl and provides the initial knowledge you need to start working with Perl 6. The book does not require previous experience with Perl, although some general understanding of programming is assumed. Contents: Introduction; Getting started; Data types; Operators; Branches; Program layout; Built-in functions; Loops; Reading from a file; Pattern matching; Writing to a file; Arrays; Lists; Scalar versus list context; Two-dimensional tables; etc. We have written a basic introductory course for biologists to learn the essential aspects of the Perl programming language. The course is very much aimed at people with no prior experience in either programming or Unix operating system. The material covered in this book is designed to prepare the reader to enter the world of Perl programming. This book covers the basic data and control structures of Perl, as well as the philosophies behind Perl programming. This is a free Perl tutorial that is packed with everything you need to know to get started on Perl programming. Throughout the text there are many examples examples, illustrations and exercises in the form of concept consolidation questions. Introduces the tools needed to design a dynamic website using Perl programming language. It covers templates, integration, load testing, the need for speed, document management, persistent Perl, good coding style, fas database access and more. 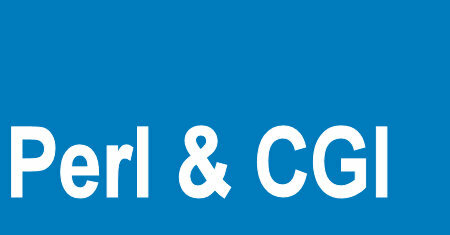 A text for expert programmers, it focuses on the CGI specification down to the details. The book explains what CGI does, describes all CGI methods and environment variables, explains how to port Usenet news to the Web with CGI and more.